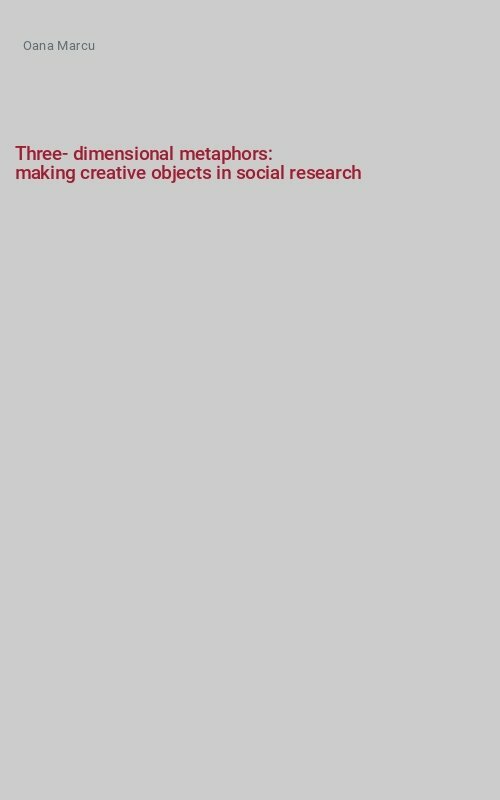 The present article presents and discusses a creative method for researching subjectivities in social inquiry: making objects or models. It is a method used in organisational development, in supporting creative problem solving and, albeit marginally, in media studies. I frame this method in the arts-based collaborative research tradition, using the extended epistemology of Heron and Reason (1997), to explain its potential to reach profound meanings in a vivid form. I also connect this method to other strands of methodological reflection, such as qualitative inquiry, visual studies and the study of materiality, as to argument its applications both as a research and as an action method. Moreover, I present a test of this method with PhD students and professionals in sociology, aimed at experiencing and discussing, within the expert panel, its potentialities and limitations. In conclusion, the method presents good possibilities for involving participants in expressing meanings at various levels and forms (individual/group, connected to the past/generated in the interaction, implicit/explicit, verbal/sensuous etc. ), facilitates participation to the task, it is fun and allows for various types of analysis of the rich material it produces. Its role in generating change, though, is bound to how the whole participatory action research project is designed, especially to which stakeholders are actively involved in problem solving processes and to the formulation of the topic to be modelled, which should be as close as possible to the problems that need to be tackled.